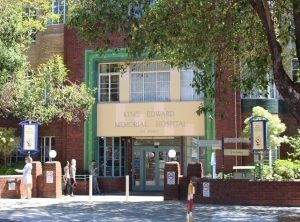 As a review of the state's health system was released on Wednesday, Health Minister Roger Cook said the 103-year-old, heritage-listed King Edward Memorial Hospital would eventually relocate but gave no specific time frame. The state government has allocated $3.3 million in next month's budget for planning the move, which was first recommended in a 2004 review. Mr Cook said construction would begin during the McGowan government's second term if it wins the next election. "I'd like to see it open by mid-next term but I'm not an engineer and I'm certainly not a financier, so I'll leave that up to the detailed planning," he told reporters. Premier Mark McGowan described the hospital as tired, while Mr Cook labelled it "very challenged". Australian Medical Association WA president Omar Khorshid said the review had many positive recommendations but little detail, no funding forecasts and was "just the latest" to call for a new maternity hospital. "We call on Premier Mark McGowan to begin implementing some of the recommendations - such as banning junk food advertising on state assets and a floor price on alcohol immediately," he said. "The report identified WA's health system was struggling under increased demand while at the same time suffering reduced growth in health budgets," union secretary Dan Hill said. Earlier this week, Mr Cook announced $22.7 million in funding to upgrade the intensive care unit at the city's other run-down hospital, Royal Perth.